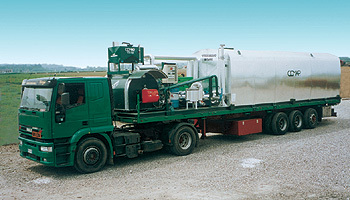 Mobil plants are mounted on a semi-trailer for the heating and storing of bitumen. 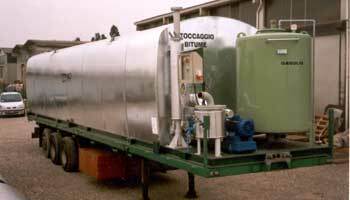 It is equipped with a thermal oil heater and horizontal tank type TH. A gear pump and possible loading arm can be fitted for the filling, draining and recirculation of bitumen. Connection pipes are made of carbon steel with thermal oil jacketing. 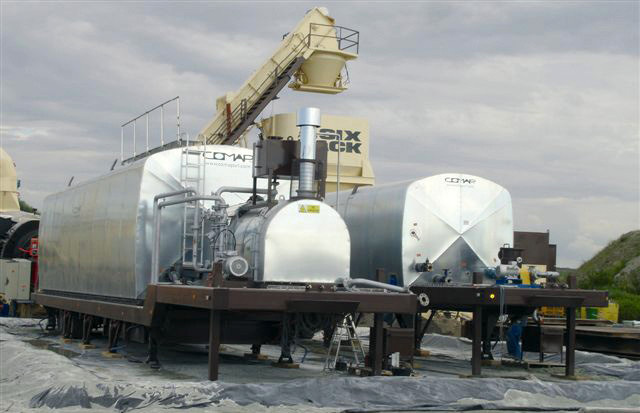 To allow the equipment to be independent a generator unit and an auxiliary gas oil storing tank are fitted to operate the burner and electric motors.